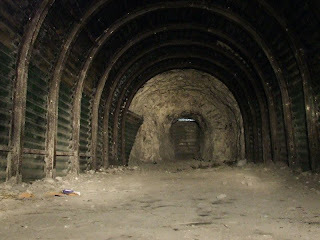 Sited in large chalkpit behind Paulsgrove, on Portsmouth's Portsdown Hill, are some World War II underground workings. 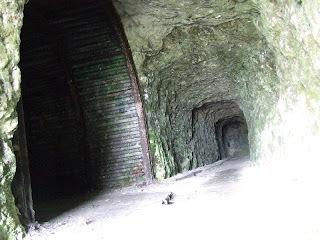 They are believed to be a radio facility for the nearby underground HQ at Fort Southwick. 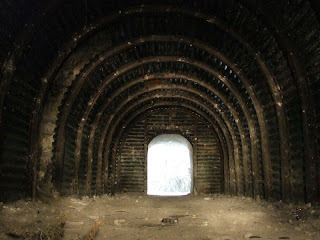 Inside, there are two main rooms on different levels, lined with steel sheeting and supporting girders, the standard style for the for military tunnels at the time. 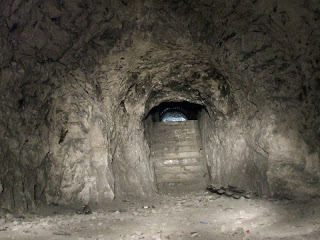 These are accessed via two unlined adits in the quarry face. 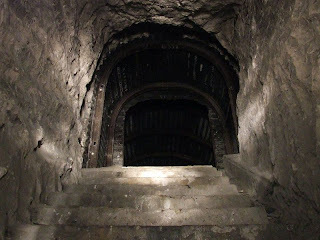 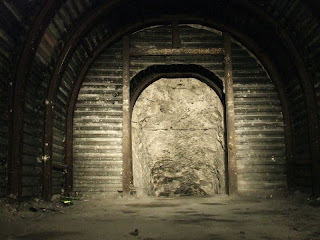 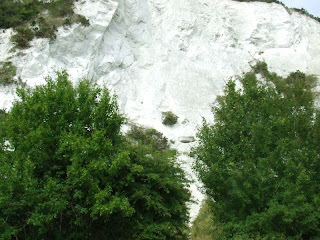 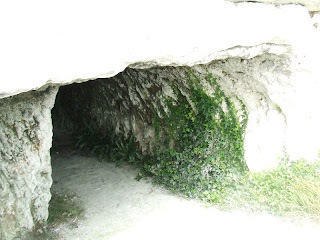 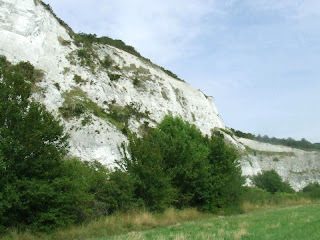 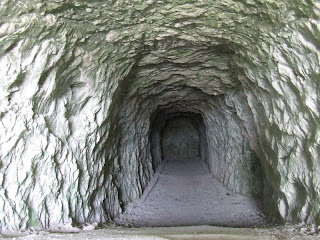 No artifacts remain in the tunnels and they have obviously been visited by many people over the years, the entrances however, are now some 30ft up the face of the quarry as chalk continued to be quarried after the war. 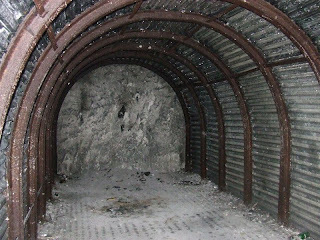 These tunnels are on open land, but if visiting care must be taken.